Rumors of Apple introducing a triple-lens iPhone in 2019 is picking up steam after an analyst told investors the three lenses were a likely push to make the iPhone the top augment reality device. 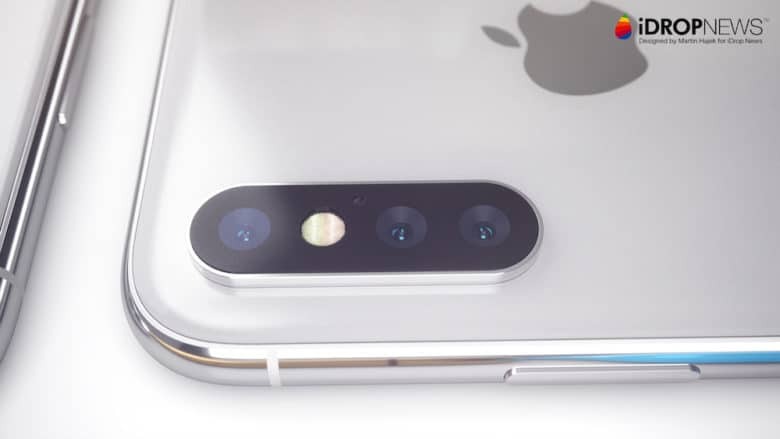 Jialin Lu, a Deutsche Securities analyst, is among the latest in a number of tech observers who believe Apple is planning a three-lens rear camera set-up, though some speculate the third lens may be added to expand the reach of the handset’s zoom function. A story published Tuesday in the Economic Daily News out of Taiwan said Lu told investors Apple plans to use the third lens as part of a new 3D sensing technology to determine the distance of a subject from the iPhone from different angles. Current 3D sensing uses structured light to map a subject, a technology known as Time of Flight. Earlier this year, both the Economic Daily News and The Taipei Times published stories quoting sources that said the supply chain was ramping up for three-lens smartphones, including Apple. Whether it’s for longer telephoto reach or AR applications, a third lens for the iPhone seems likely. Other smartphone companies, including Huawei, have confirmed three-lens handsets in the pipeline. A third lens could also further advance the quality of images being made in low light.